A beautiful way to bring your spaces to life. Green walls, or vertical wall gardens, are not only spectacularly beautiful, but also helpful in enlivening the ambiance and presence of your company. Plant Care will give you direct access not only to the latest trends in Green Wall design, but also to the latest living walls technology systems like LivePicture, LiveDivider, and LivePanel systems. Our team of designers and project developers will make sure to meet and exceed your requirements to create a powerful statement, and long lasting impression for your company’s clients – not to mention the long list of benefits that indoor and outdoor vertical garden plants provide. 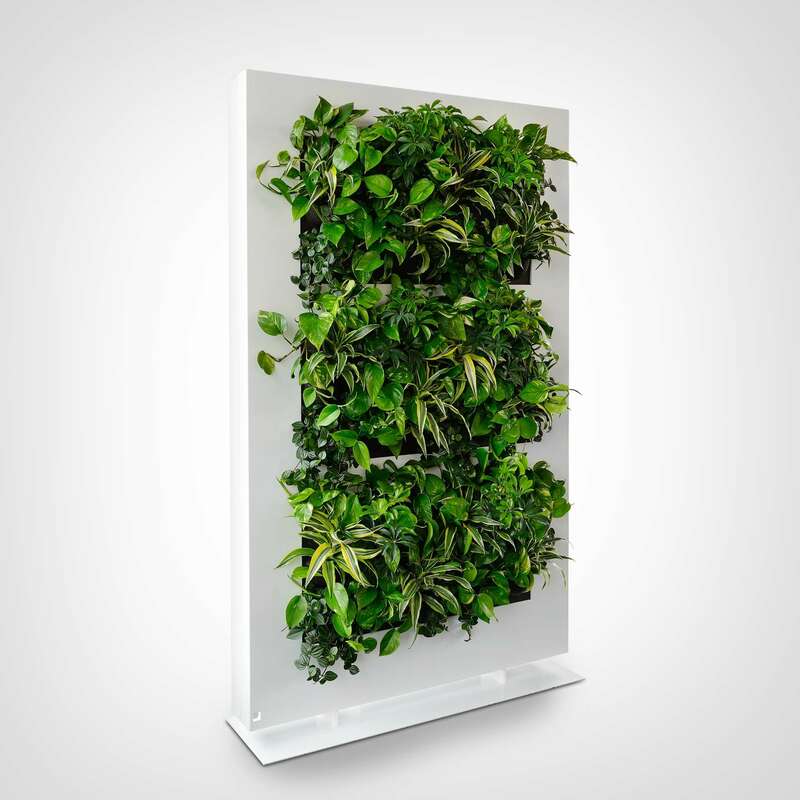 Vertical Wall Gardens provide economic and ecologic benefits as well as aesthetic value. The benefits change with options such as different buildings, green wall technologies, plant selections and plant coverage. The application of outdoor vertical garden plants is shown to increase property values by dramatically increasing the amenity of buildings, and establishing higher public acclaim, transforming them into recognizable landmarks. Create and express your ideas adding beauty through living colors using a LivePicture®. It is not only great for the environment, but helps create a calming and creative mood to your office or home space. A clever, intricate, but yet simple way to create privacy while offering a feeling of wellbeing for indoor office or home space. Take advantage of the visual privacy and noise reduction benefits LiveDivider has to offer. Plant Care will design, install and maintain your next Green Wall project using LivePanel modular systems. This system is designed to hold your green facade off the wall surface so that plant materials do not attach to the building.